Studio Wildcard’s road to launch with ARK: Survival Evolved was filled with more than a few obstacles. Even though the game was very successful in terms of sales (Steam Spy counts almost five million and a half owners, and that’s without factoring PlayStation 4 and Xbox One data), the company had to say goodbye to $40 million which went to Trendy in a settled lawsuit. There were also a couple sensitive PR situations with the community. For example, ARK: Survival Evolved’s price was suddenly increased in order to have parity with retail and this caused a fair amount of outrage among fans, including DayZ creator Dean Hall. Speaking with Eurogamer, Studio Wildcard’s Jeremy Stieglitz explained what happened behind the scenes, adding that now there’s a great $60 game and the value is there. That one is kind of a planning blindspot. We didn’t realise in order to get to retail on store shelves they would require price parity with digital, not on launch day, but prior to launch day. That was… ‘well we need it now because we have to do a pre-order campaign’. We were faced with a very stark decision at that point. We tried to communicate it in advance as fast as we could, but we didn’t have as much lead time as we would have liked. We only found out a few weeks before it had to happen. You know, ultimately, it sucked. We do think now, as we get to release, we absolutely feel there is a great $60 game there. The value is there. Stieglitz also talked of another decision Studio Wildcard made that quickly became contentious with the community: releasing a paid expansion, Scorched Earth, while the game was still in Early Access. We didn’t anticipate how it would be viewed. In hindsight, we would never do that again. I would never do that in Early Access again and I wouldn’t recommend any developer do it either. I won’t mince words with that. I don’t think from a business standpoint it was worth it. I do think from a technical standpoint, it was, you might say, necessary. 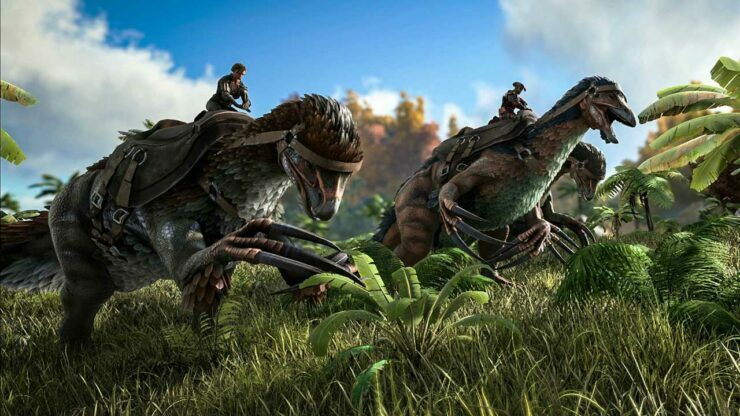 Now that ARK: Survival Evolved is finally out, what do you think of it? Are you still playing the game? Tell us in the comments.